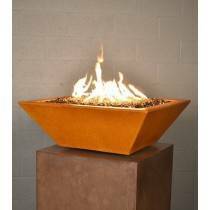 Mission Statement: At Outdoor Fire and Patio, your safety and unsurpassed customer service are the most important part of our business, and we achieve that goal by offering only the highest quality products that exceed industry standards while still assuring we can provide them at affordable prices. 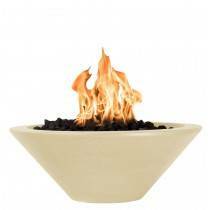 We have an expert staff, always ready to assist you in any way with a friendly attitude and vast knowledge of our product and industry. 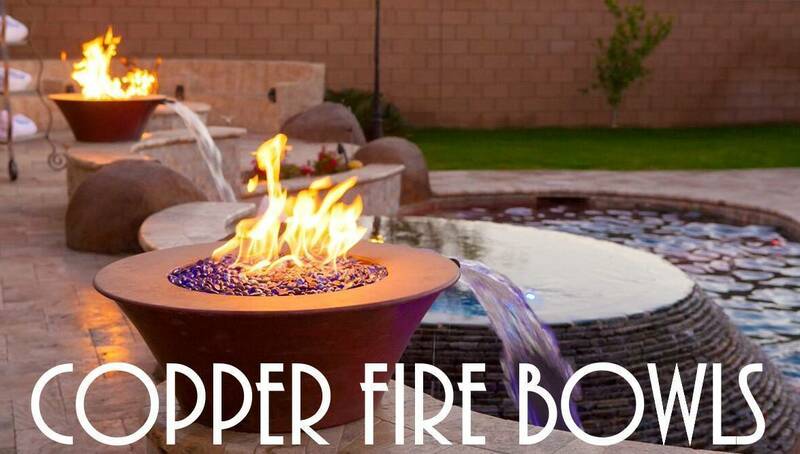 With over ten years of experience in the outdoor industry, Outdoor Fire and Patio was created by homeowners who understand the excitement as well as the concerns that come with the idea of designing your outdoor space, and we also know the horror of being let down by sub par service or performance. 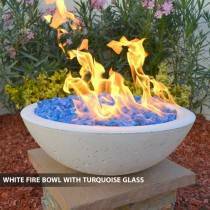 We are proud of every aspect of our business, so we hand select everything we offer our customers for complete quality assurance. 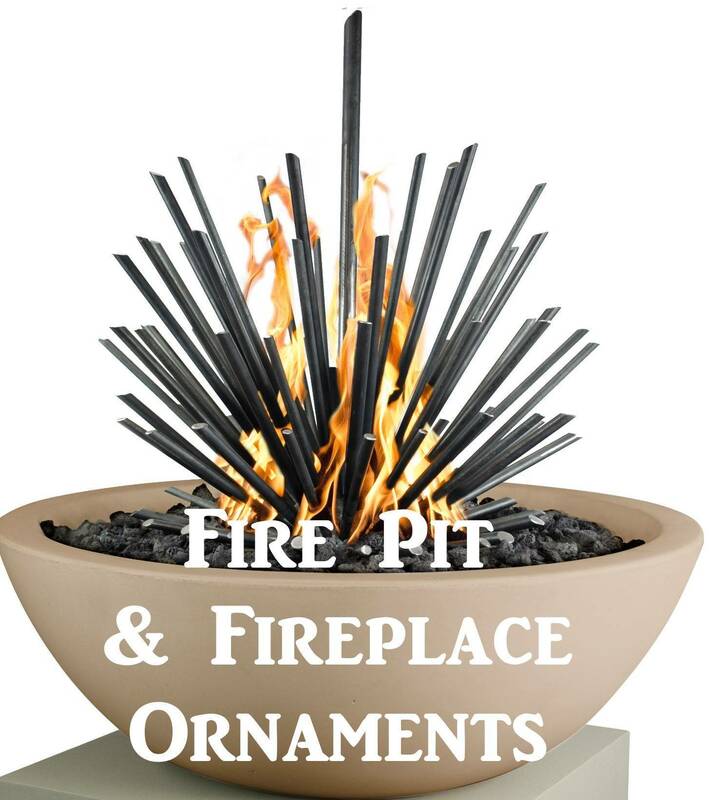 No matter your taste, Outdoor Fire and Patio has something in our vast collection to satisfy your gas fireplace & pit design needs. 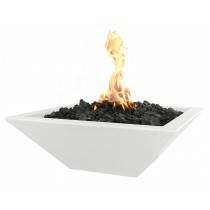 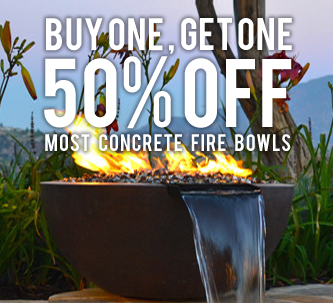 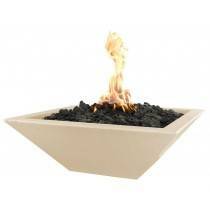 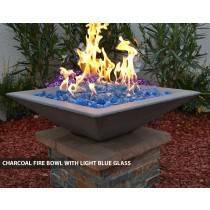 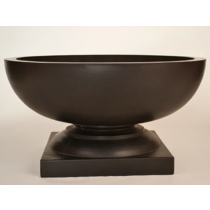 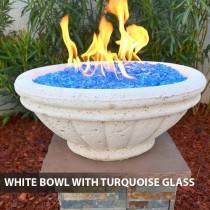 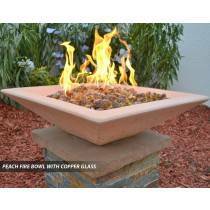 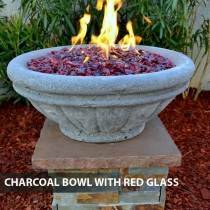 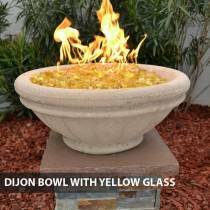 Best of all, every fire bowl is custom crafted to assure strength and durability for long lasting reliability, using fiber to form the concrete. 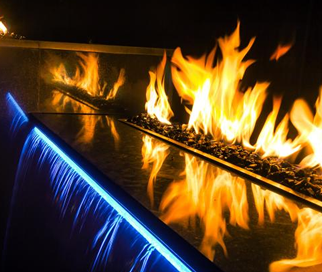 In addition to being your fire feature specialists, Outdoor Fire and Patio also offers the leading edge in tomorrow's technology. 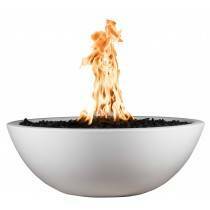 Our All Weather Electronic Ignition System (AWEIS) allows automated control of your entire fire feature setup with the touch of a button. 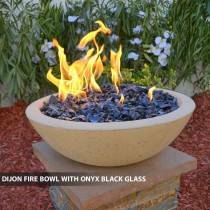 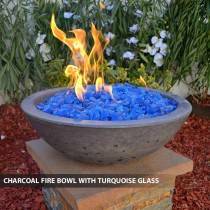 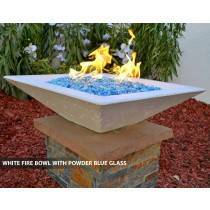 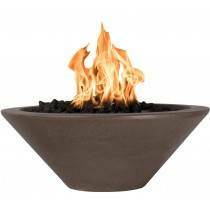 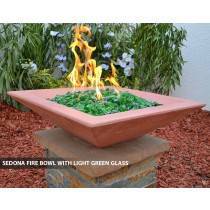 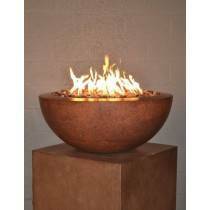 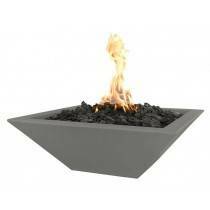 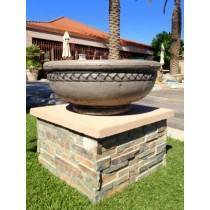 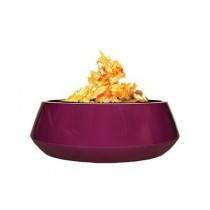 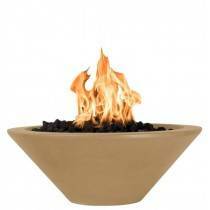 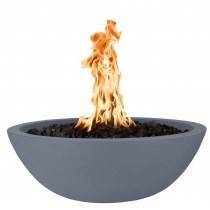 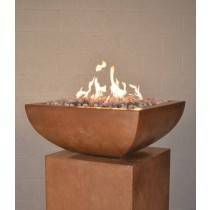 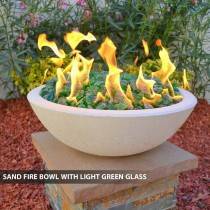 We offer more than just fire bowls and accessories. 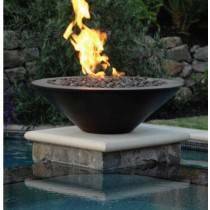 In fact, you can create your entire fire feature design with our products, including the addition of propane or natural gas tiki torches. 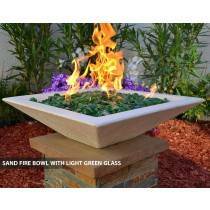 Turn your yard into an island oasis, selecting from a number of styles, and choose to light your torches manually or connect them to the automated system. 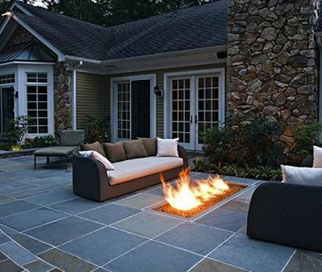 At Outdoor Fire and Patio, we know everyone has something different in mind when they embark upon the journey to design their outdoor landscaping and hardscaping. 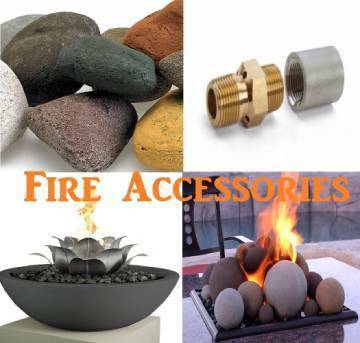 We strive to offer everything you need to complete that unique element you're looking for. 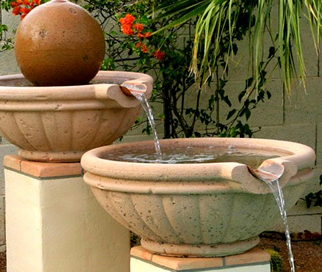 If you don't see what you need, we're happy to assist you. 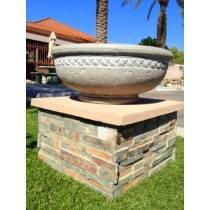 Give our customer service a call, and we will gladly work with you to fulfill your custom needs. 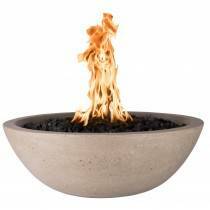 Concrete Fire Bowl Round 27"
Concrete Fire Bowl Round 33"
Concrete Fire Bowl Round 48"
Concrete Fire Bowl Round 60"
Concrete Fire Bowl Square 18"
Concrete Fire Bowl Square 30"
Concrete Fire Bowl Square 42"